Natalie Baye, Laura Smet and newcomer Iris Bry star in director Xavier Beauvois' stately, engaging drama. In 1914, warfare broke out on a scale never before seen. Millions of men were mobilized, but what about the women? 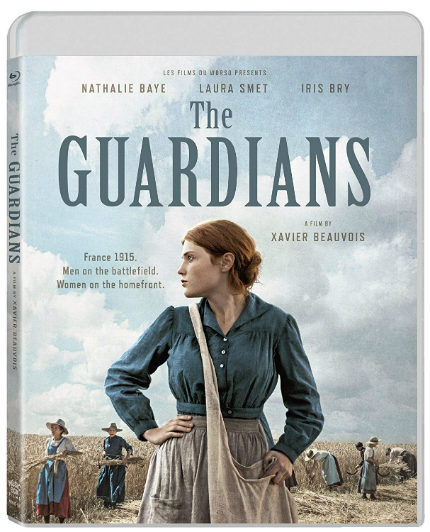 As depicted in Xavier Beauvois' The Guardians (original-language title: Les gardiennes), newly available on Blu-ray from Music Box Films in a picture-perfect edition, the women faced their own battles. 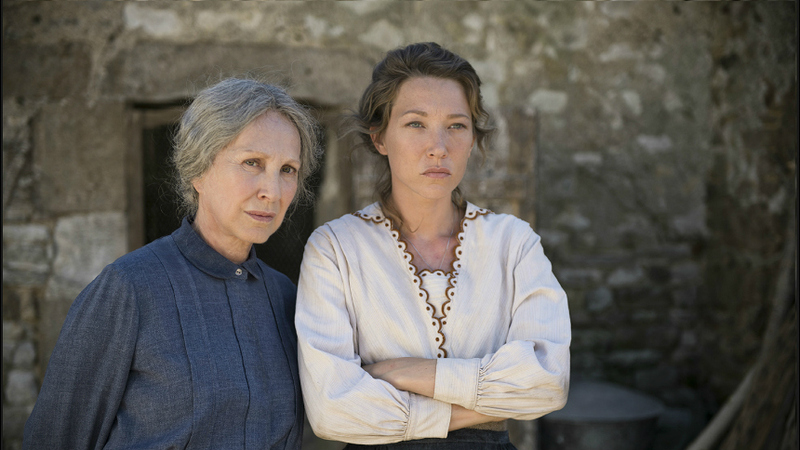 On a large farm in France, family matriarch Hortense Sandrail (Natalie Baye) is in charge. Her husband, Henri (Gilbert Bonneau), remains at her side, but Hortense works tirelessly and makes all the decisions. Her daughter Solange (Laura Smet) is also a diligent worker, along with young Marguerite (Mathilde Viseaux), Solange's stepdaughter. Early on, Hortense hires Francine (Iris Bry) for the harvest season. After Francine impresses with her steady work ethic, Hortense is satisfied to keep her on for the next year. We get a glimpse into Hortense's mindset when Francine happily accepts the offer, thanking Hortense twice, when once is quite enough for steadfast, no-nonsense Hortense. Periodically, the men of the farm return home, separately, on leave. Hortense's young sons Constant (Nicolas Giraud) and Georges (Cyril Descours) are dutiful and devoted to their military service, in contrast to Solange's somewhat older husband Clovis (Olivier Rabourdin), who is showing the strains of extended warfare. The film establishes the rhythms of life on a farm with economy and grace. From today's perspective -- or from my own point of view as a city-bred boy -- it looks impossibly demanding, yet everyone takes the stringent requirements as second nature. It is what it is, and no one thinks to question it; one presumes that it was passed down from one generation to the next, without much variance. Yet even within the few years that are covered, we see changes that are quite dramatic; the introduction of mechanized equipment obviously will result in profound changes for the farmers, for example. We also have the opportunity to observe three generations of women and how they react to those and other changes, including their dealings with their male friends and lovers. The bucolic setting and the stately pace help to distinguish The Guardians. When melodramatic elements begin to boil, we suspect the worst, but, instead, filmmaker Beauvois has something different in mind for his characters. On the new Blu-ray from Music Box Films, the images look immaculately clean, the lovely landscape lending the drama a beautiful essence that enhances the characterizations. A generous selection of additional features includes an unedited, post-screening, 20-minute conversation with the director (speaking in French, which is then translated into English by an interpreter), covering chiefly his views on adapting a novel for the screen; an enlightening 12-minute interview (conducted in French with English subtitles) with cinematographer Caroline Champetier, in which she explains quite a bit about her working methods with the director; and a 13-minute interview (conducted in French with English subtitles) with actor Nicolas Giraud, who plays a schoolteacher, soldier and son, primarily talking about his character. We also have a 5-minute feature on the recording of the music, composed by the legendary, 80-something Michel Legrand; two features on casting; an outtake, in which three actors get the giggles; and the theatrical trailer. Also included are trailers for other Music Box titles, including Memoir of War, Frantz. Finally, a printed booklet is enclosed with the discs, featuring an extended note from the director as well as a separate interview with him. It's a good home-video package for a carefully-crafted and rewarding film.